A television in the bedroom is as common as a dresser or bedside table these days. 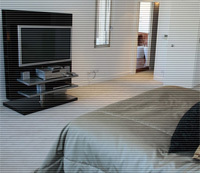 For small or large bedrooms see our recommendations for bedroom televisions below. This value line from Samsung provides consumers with a 720p HDTV at a bargain price. 2 HDMI imputs, SRS TruSurround XT, Game Mode and a 30,000:1 contrast ratio round out the key features of this 32" LCD. Everyone is on the the latest and greatest 3D TVs and LED TVs, but dont underestimate some of these excellent little LCD TVs for delivering the best value (along with plasma) in the marketplace. 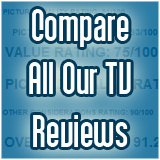 From past reviews and viewing at CES we know that this TV has a strong picture performance at a value oriented price. See Review This replacement for the G25 series from 2010 is the entry level 3D compatible plasma TV offering from Panasonic. It has the Inifinity Black 2 Panel, a Viera Image Viewer for photo and movie viewing through USB connection. It does not contain the Internet connectivity through Viera Connect (previously called Viera Cast). So for those who want the 3D ready ability without the need for Internet connectivity (for instance those in remote areas with no broadband connection) this will be a compelling 3D Plasma TV offering. Sony has long touted the processing chip set engines in their TVs. We found the EX500 processing a poor performer. Sony is touting a new processor in the 40EX520 with the X-Reality processing engine (single chip in this model). This chip features some upgraded image enhancement to help improve picture quality and eliminate those nasty motion artifacts we found on the EX500. Bedroom TV's often end up in the corner, here are a few corner TV stands we think you may like for your bedroom TV. Another good way to mount your bedroom TV is to hang it from the ceiling. Below are a few ceiling mounts that will get your bedroom tv up and out of the way.